Children are natural scientists. They ask, “Why?” They poke, peer, dissect, observe, and marvel. Sometimes they reach conclusions. Since children are also natural storytellers, the conclusions might be imaginative, rather than verifiable. That’s okay. For both children and adults, curiosity and a spirit of wonder are just the starting places for learning about STEM (Science, Technology, Engineering, and Medicine). Skills, information, and experience must follow. Without a suitable educational background, Latinos will be left behind in the twenty-first century rush toward jobs that require specialization. I am not a specialist. Despite my training as an agronomist and botanist, I still love simple nature walks, with plenty of aha moments of amazement. That’s why I’m so thrilled that poetry and other creative approaches are being introduced into the teaching of science, especially at the elementary level, creating STEAM (Science, Technology, Engineering, Arts, and Medicine). Poetry, after all, springs from the same sense of wonder as science, and is rooted in the same combination of observation and wonder. The arts allow us to learn with all five senses. Doesn’t it make sense to let children read, write, paint, sing, and have fun, while studying facts? Fortunately, educators are already introducing the arts into STEM teaching. The Poetry Friday Anthology for Science (Pomelo Books) includes many bilingual poems about a wide variety of concepts. Taking the lead among Latinos, Pat Mora made sure that Día de los Niños offered mini-grants to libraries planning STEAM events in April, 2015. Other grassroots programs have sprung up in recent years, including the Americas Latino Eco-Festival, which promotes environmental activism for Latinos, and AZUL, which invites Latinos to become coastal and ocean stewards. For someone like me, with a deep love of nature, and my own odd combination of scientific and creative training, STEAM education offers a chance to write new kinds of books for children and young adults. In my verse novel, Silver People, Voices From the Panama Canal (Harcourt, 2014), I blended history with rain forest biology. In two forthcoming picture books, Orangutanka, a Story in Poems (Holt, 2015), and The Sky Painter, Louis Fuertes, Bird Artist (Two Lions, fall, 2015), I’ve been thrilled by the opportunity to show animal and human interactions. In Mountain Dog, winner of the first ALBA (Americas Latino Book Award), I incorporated hiking safety and outdoor skills into a middle grade adventure story. As STEAM efforts grow, I hope that educators, librarians, parents, scientists, environmentalists, writers, and illustrators can all join together to make sure that teaching methods honor the natural curiosity of children. Margarita Engle is the Cuban-American author of many young adult verse novels about the island, including The Surrender Tree, which received the first Newbery Honor ever awarded to a Latino, and The Lighting Dreamer, recipient of the 2014 PEN USA Award. Other honors include multiple Pura Belpré and Américas Awards, the Jane Addams, International Reading Association, Claudia Lewis, and MANA Las Primeras Awards. Margarita grew up in Los Angeles, but developed a deep attachment to her mother’s homeland during summers with her extended family in Cuba. Enchanted Air: Two Cultures, Two Wings, a Memoir (Atheneum, August, 2015) tells the story of those childhood visits, leading up to the loss of travel rights after the Missile Crisis. Margarita was trained as a botanist and agronomist, before studying creative writing with Tomás Rivera. 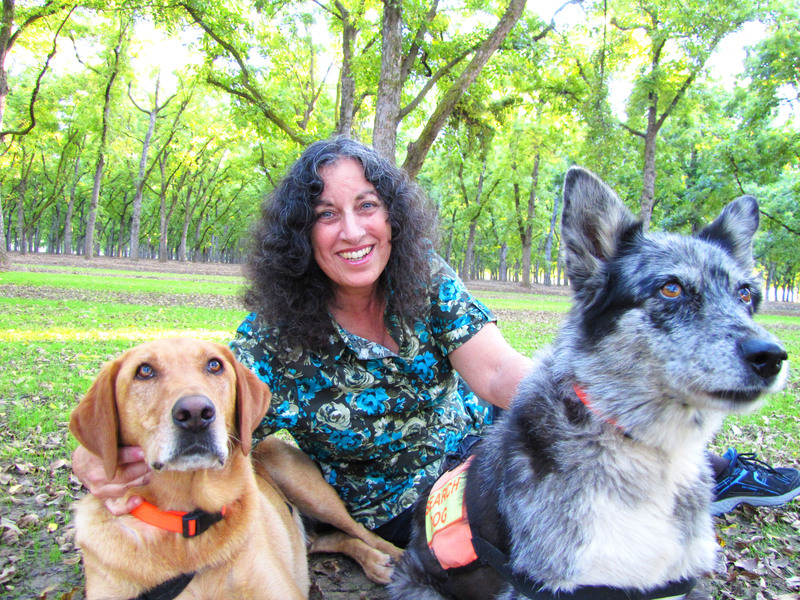 She lives in central California, where she enjoys hiding in the wilderness to help train her husband’s search and rescue dogs. Great article, Margarita. Thanks for the opportunity to discover another great blog. Well said, Margarita. And thank you for mentioning THE POETRY FRIDAY ANTHOLOGY FOR SCIENCE which shares your passion for blending science AND poetry– and is all the richer for your lovely contributions! Thanks, Margarita, for introducing us to some of your books and I see how you incorporated being an agronomist and botanist into your books. I hope to read SILVER PEOPLE soon, which also has a beautiful book cover. Best wishes with your two novels coming out next year.